Secondary educators are big on ownership. We all ‘own’ our particular specialty, role or discipline and it becomes difficult for us to fathom stepping outside of this. We know where to go or who to see when we need something. For example, we have Curriculum Leaders who ‘own’ their specialist discipline, Librarians who ‘own’ information access, and Deputy Principals who ‘own’ student behaviour and learning directions. Of course, what I mean by ownership is managing, leading or taking responsibility for a particular area within the school. Early definitions of Digital Citizenship were quick to attribute ownership of the concept to technology specialists such as eLearning Managers and Instructional Designers, and this is understandable when we take the work of those such as Ribble, who prescribed Digital Citizenship as, “a concept, which helps teachers, technology leaders, and parents to understand what students/children/technology users should know to use technology appropriately” (2010, p.1). In 2015 however, the concept of Digital Citizenship has evolved so much that technology use forms just one part of it, we must also consider the need for digital citizens to integrate the use of technology seamlessly and effectively as part of their learning ecology. This then involves digital citizens being digitally literate, participatory, collaborative and able to master the unknown as it presents itself. Subsequently, if we refer to Digital Citizenship as digitally belonging to, benefiting from and participating in a collective where certain rights and responsibilities need to be upheld, it becomes clear that, apart from the physical and digital realms, there is no real difference between civil or digital citizenship. Thus, the responsibility or ownership of Digital Citizenship in our school settings becomes problematic which raises cause for concern, particularly in our current climate where we are educating students in a world that dictates digital participation as a prerequisite for successful advancement in society. The problem seems to lie in the fact that many educators believe Digital Citizenship education involves providing students with the knowledge and skills to interact and engage in digital learning environments. My questions is, how can we do this adequately as educators, if we do not hold this same knowledge and ability? The answer is that we can’t. If we are to teach Digital Citizenship to our students, this involves also, “transforming [ourselves] into professional[s] who can effectively research technology trends, monitor the uses of technology, avoid the fear factor and model legal wisdom, in order to make vibrant learning opportunities for all” (Lindsay, 2014). Thus, while the responsibility for Digital Citizenship in schools may have initially been seen as one for media specialists or eLearning managers, it becomes apparent that this will be ineffective if the ownership falls to these departments alone. Each individual educator must take responsibility for owning, modelling and practicing Digital Citizenship so that they can participate as active citizens in our digital world. This is why we can’t place the ownership of Digital Citizenship on one particular faculty in our schools, all educators are obliged to take control of this in their professional practice and teaching and learning. In their article Informal Learning and Identity Formation in Online Social Networks, Greenhow and Robelia suggest that while our students are more than able to use, participate in and master online applications such as social networking sites, they were both unaware of and lacking in the ethical and legal knowledge needed to understand interactions on these sites (2009, p.135). Alarmingly, Greenhow and Robelia suggest that, “such ill-formed and only partial understandings of [students] rights and responsibilities in semipublic online spaces, especially with respect to legal issues of copyright and fair use, mirror the lack of understanding on the part of educators who are supposed to model digital citizenship behaviours” (2009, p.135). Similarly, Lindsay and Davis assert that often digital citizenship becomes problematic when individual teachers lack the understanding and skills necessary to integrate and utilise technology effectively in their own practice, leading to a climate where, “respect for student ability to manage and improve their digital citizenship is not always present, sometimes due to an inability of the teacher to manage and understand his or her own online and digital life in a rapidly changing world” (2013, p.111). Digital Citizenship is a concept that reaches across disciplines, contexts and ability-levels and one that is equally as important for educators as it is for students. Consequently, we can’t expect our students to be successful digital citizens, if we do not take ownership of it personally, and model and practice it in our own learning ecologies. Digital Citizenship must be ‘owned’ by every educator of the twenty-first century – not just those of us who are ‘technologically able’. 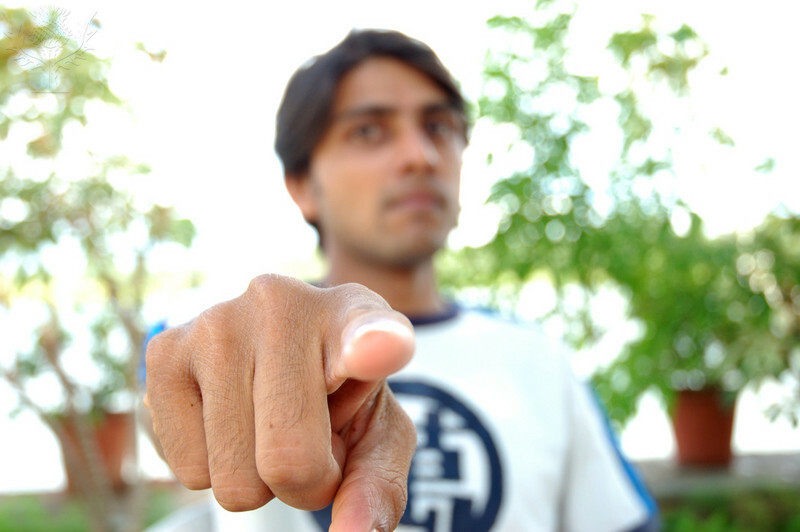 A young man pointing finger. [Photography]. Retrieved from Encyclopædia Britannica ImageQuest. Lindsay, J., & Davis, V. A. (2013). Flattening classrooms, engaging minds: move to global collaboration one step at a time. Boston: Pearson/Allyn and Bacon Publishers. 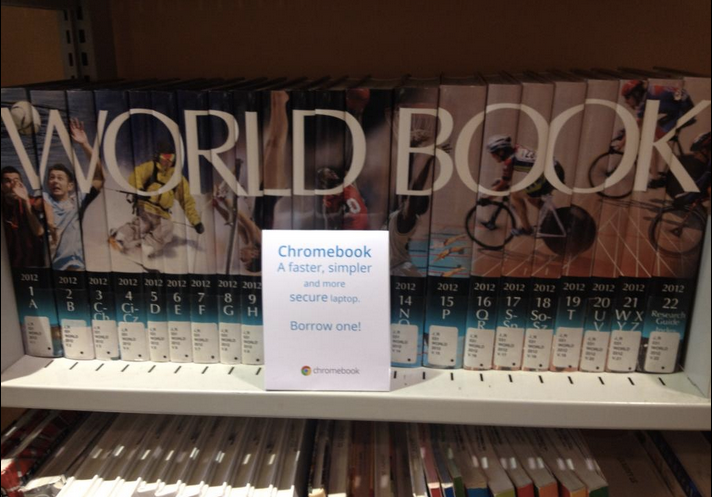 Embracing the new age of search literacy! What’s worth learning? A big question I realise, and one that continues to perplex me in an age where we can find all of the information we need at the click of a button. It is easy to see why students are becoming disengaged in the classroom, with teaching practices that stem from our first real educational revolution of the eighteenth century still rife in the twenty-first century. We know the notion of education should change in our modern society, but we are yet to articulate successfully exactly what it takes to produce learners who are ‘future-proof’ and adequately prepared for a life of constant learning and change. 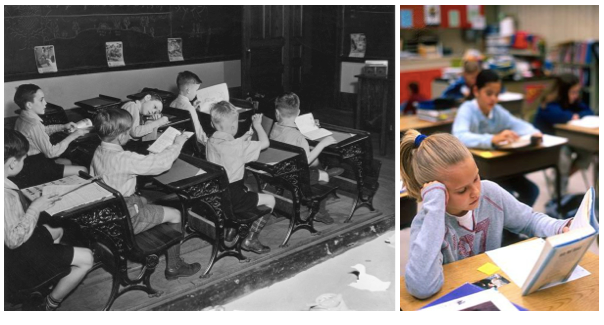 Is there a difference between eighteenth century and modern day classrooms? Crockett, Jukes and Churches articulate the disconnect between school and real life in their book ‘Literacy is Not Enough: 21st Century Fluencies for the Digital Age’ when they mention their experience with a school principal at an international educational conference describing his students who were top performers academically in the TIMS (Third International Mathematics and Science Study) as unable to, “think their way out of a wet paper bag if their life depended upon it. They’re nothing but highly educated useless people” (2011, loc 155). This example hits the nail on the head when it comes to describing the students we are creating in our current educational system full of standardised testing and ‘one-size-fits-all’ assessment. If we are to continue teaching our students to become dependent on knowing only what they need to pass a test, they will continue to struggle when they make the transition from school life to the real world of the twenty-first century where, “their success in work, life, and play will greatly depend on their ability to interpret and apply old information and new alike to new situations, problems and environments” (Crockett, et al., 2011, loc 205). What concerns me is that the technological age has played a large role in driving the need for change in education, yet we have become complacent in thinking that simply handing students technology will make them twenty-first century learners. When we give students a device with Internet connection, we give them the possibility of becoming connected, participatory and personalised in their learning. 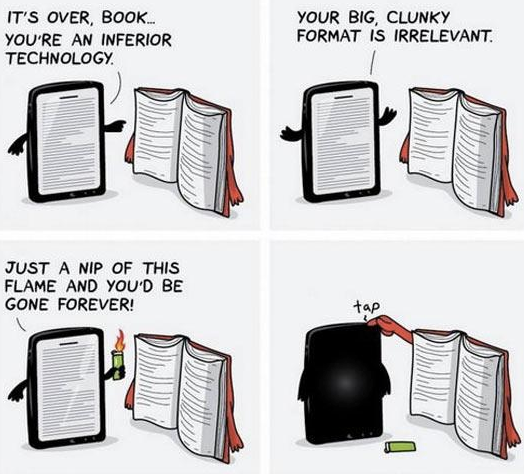 As is depicted in the picture to the left, the power of learning does not come from the device we are using. It comes when we guide our students in building the skills, understandings, competencies and knowledge they need to use these devices to enhance their learning. So with this in mind, ‘what is worth learning?’ becomes an important question for us to answer as educators. What can we teach our students that will prepare them for successful life in the unknown, ever-changing world of infowhelm, where the technology we use and the contexts we work within today will be obsolete tomorrow? This is one question that started me on my journey in ‘Concepts and Practices for a Digital Age‘ and one that I hope to begin to answer through my learning in the course, so that I can best prepare my students for realistic, ‘future-proof’ learning. In the video below John Seely Brown introduces the notion of the ‘entrepreneurial learner’ – one that constantly adopts and adapts their practices to learn in a world of change and unlimited possibilities. Our role as educators is no longer to simply transfer our knowledge to our students, it involves guiding them through learning and knowledge building when they are constantly bombarded with new contexts, ideas, literacies, information, technology and skills. My goal as both a teacher-librarian and classroom teacher is to continue to adopt and adapt what I do for my own professional growth and the guidance of other teachers, and to provide the best learning experiences for students by embracing entrepreneurial learning. 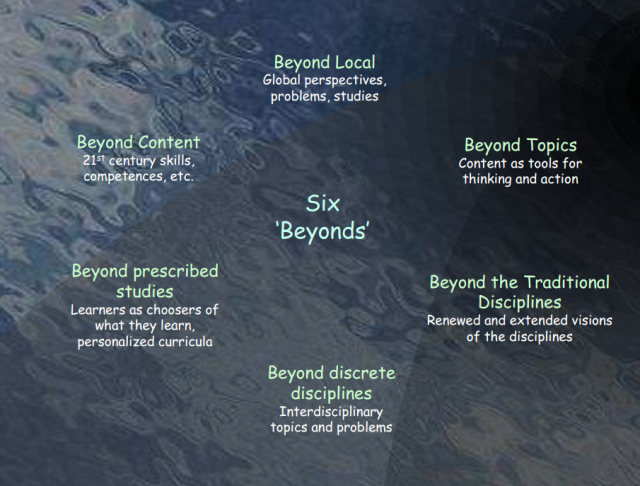 In this course I hope to ‘go beyond’ in my own learning to understand what exactly is worth learning, and consequently worth teaching in the world of infowhelm. This will enable me to reimagine and reinvent the teaching and learning that happens in my classroom and provide realistic and future-proof experiences for each and every student I teach. Class Room. [Photographer]. Retrieved from Encyclopædia Britannica ImageQuest. Elementary School Classroom. [Photography]. Retrieved from Encyclopædia Britannica ImageQuest. Constantly in the media we hear news about the ill-effects of students using the Internet, Digital Environments and Social Media and debates are raised regarding the appropriateness of this in school settings. Often what follows are movements that push for cyber-safety programs in the hope that these programs will teach our students to use online environments effectively. What is often overlooked, is that teaching cyber-safety in isolation will only cover one aspect of students’ participation in online environments. To ensure they are able to exist successfully in the twenty-first century environment, we need to consider the bigger picture – digital citizenship. Ribble, Bailey and Ross refer to digital citizenship as the ‘norms of behaviour’ associated with technology use, referring to the use, abuse and misuse technology fitting into nine main categories as listed in the image below (2004, p.24). What I love about this definition of digital citizenship is that it covers all of our interactions online, not just the negative ones. This, I believe, is realistic. If we simply taught cybersafety and only highlighted the negative things that happened in digital environments, this would be the only exposure our students had to behaviour in digital environments. By provided digital citizenships programs that model appropriate behaviour, we are setting our students up with clear examples and expectations of the behaviour we want to see online. Effectively, we should approach the behaviour of students online no differently than we do their behaviour in physical environments. While the message of digital citizenship is beginning to filter through, with many schools adopting programs that focus on modelling and establishing positive behaviour online, the 2013 study by Gfk bluemoon for the Australian Communications and Media Authority (ACMA) entitled, ‘Like, post, share: Young Australians’ experience of social media’, suggests that we must now focus on how to make students aware that their actions online are permanent, and not easily erased. The concept of a digital footprint is something that students find difficult to grasp, as the future seems such a long way away. As adults however, we know that what students put online will increasingly affect their job opportunities in the future, as employers can find inappropriate comments, images and interactions with a simple Google search. This emphasises the need for us, as educators, to provide students with real-life examples of positive and negative footprints and model digital footprints through our own actions online, particularly with the emergence of mobile social networking and geo-spatial tagging. For example, I often ‘Google’ myself with students to demonstrate how we can manipulate the information about us online in a positive manner. In my belief, this is just as essential as being aware of cyber safety and responsible behaviours. Interestingly, the ACMA study found that many students model the online behaviours of their parents and older siblings. While many parents believe they are supervising the behaviours of their children online, often this is limited to managing the time they spend online, not the content they are accessing. Also, parents believe that it is adequate to monitor their child’s interactions online through ‘friending’ them on Facebook, completely unaware that children report all of the important online interactions happen through chat and private messaging. The ACMA study also indicated that students are more likely to take greater risks online if their older siblings are active online, without the maturity to realise the consequences of their behaviour. Similarly, if classroom teachers are not modelling positive Digital Citizenship in class, students are less likely to believe that they should be good digital citizens. This refers back to the difference between education and modelling. My concern is that we can spend time in school teaching and modelling appropriate online behaviours, but parents, other teachers and the wider community have limited awareness of Digital Citizenship and thus, aren’t modelling these behaviours to the students. This provides a disconnect between what students are learning in school and what is actually happening in the ‘real world’. Hence, the ACMA findings that students are often aware of what constitutes appropriate behaviour but ignore their learnings in favour of partaking in behaviours that ‘everyone else is’, make perfect sense. Understandably, students are less likely to heed advice from parents or teachers who aren’t ‘tech savvy’. 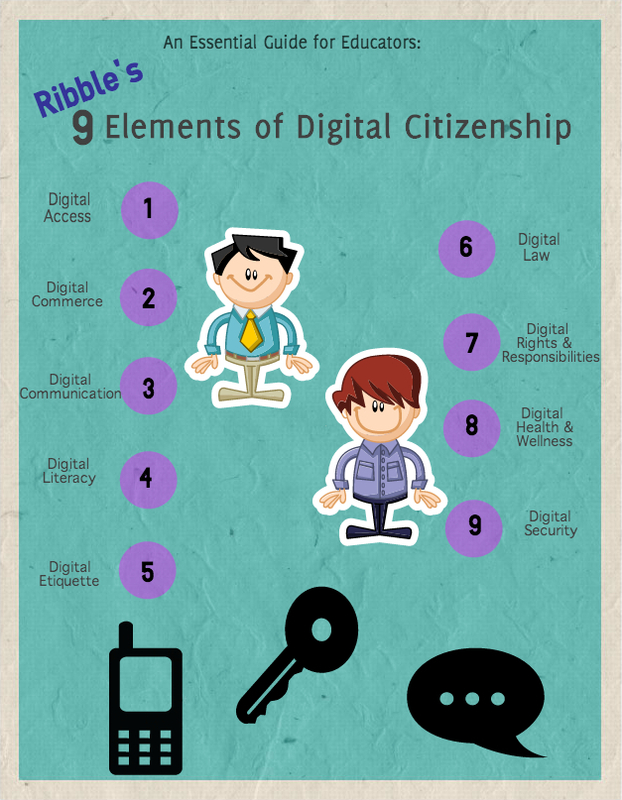 Digital Citizenship is not only for students! Last year I was invited to a class to teach the students about Twitter and set them up with their own accounts as part of their PLN (Professional Learning Network). After guiding the students through the process and discussing who they should follow to assist them in their learning, I asked the classroom teacher to call her Twitter handle out for the class. The particular teacher was very quick to inform them that her Twitter was for ‘personal’ use only and that they shouldn’t, under any circumstances be following her online. And, there is the disconnect. As educators we must be prepared to model and engage in the same behaviours online that we expect from our students. This means, knowing how applications works, understanding the terms and conditions of each program as well as the privacy implications of using this tool. Again, we are drawn back to the thought that our behaviours in the physical environment, in this case our classrooms, should be no different to the behaviours we exhibit online. If we want out students to be effective digital citizens, we ourselves need to be effective digital citizens. So, in schools, we need to focus on developing digital citizenship as a community. We must be aware of the impact our behaviour and knowledge about online environments has on our students. Our professional development programs must be inclusive of staff, parents and the wider community, not just students. And essentially,what it all boils down to is, we must practice what we preach. Digital citizenship is clearly more than cybersafety, consider the role you can play as an educator, parent or community member in building and enhancing the positive behaviour of your students online. 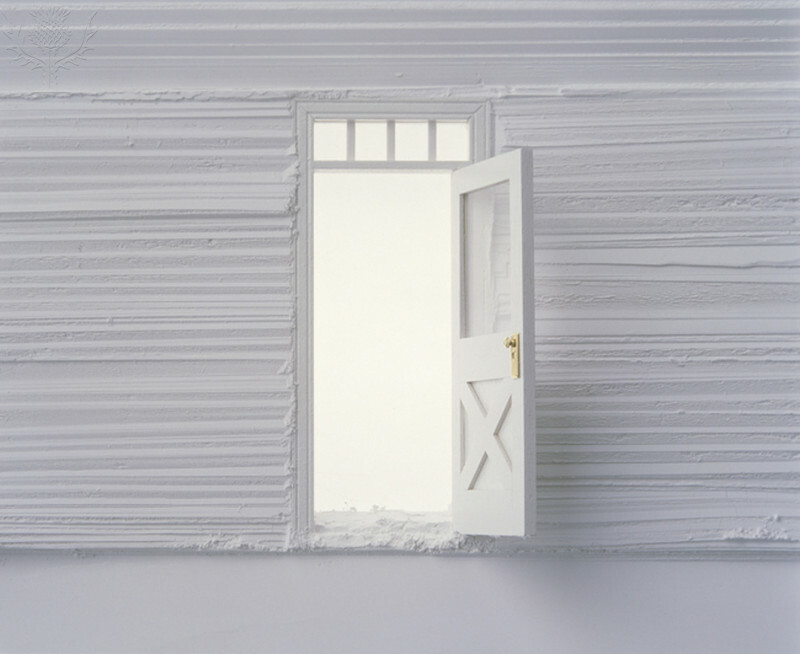 A fantastic post by Will Richardson about teaching beyond the boundaries of our four walls. World Without Walls: Learning Well with Others.